My brother was recently discharged from a nursing home. I noticed he spent long hours in a wheelchair. There are numerous chairs and devices on the market that fulfill a variety of nursing home resident needs. For example, glider or rocking chairs with vinyl-covered cushions are used with residents who like to rock and have a tendency to fall forward out of a wheelchair or stationary chair. Recliners without tray tables can be a comfortable alternative to a chair, however, they often require additional cushions to promote correct and comfortable positioning. Wheel chairs and risks of patient falls: Critical thinking points for the legal nurse consultant or attorney: Were there a variety of chair types, thereby adding customization to patient needs? 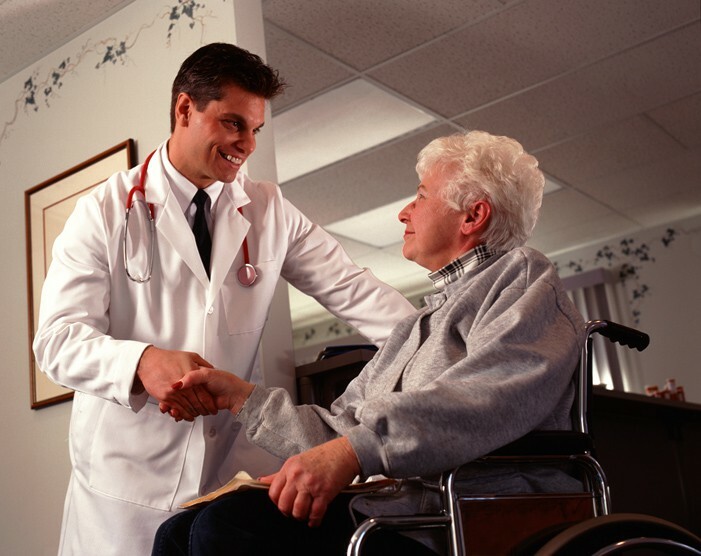 Analyze the types of chairs purchased by the nursing facility. Remaining in a reclining position for most of the day will eventually result in the decreased ability to sit up in a wheelchair or straight back chair due to loss of abdominal muscle strength. This will adversely affect the resident’s ability to eat or swallow liquids safely (without aspiration). Treatment of weak abdominal muscles usually requires a process of incrementally reducing the angle of recline over time, and supervision of this process is done by an occupational therapist. Most nursing home residents spend the majority of the day and early evening hours in a wheelchair. Wheelchairs were originally designed for transport; their sling seats do not provide adequate support for long periods of sitting. Many products are available to adapt the chair to the resident’s seating needs. If the resident spends more than an hour per day in a wheelchair or hard plastic/wood chair, the chair should, at minimum, have some type of pressure-relieving seat cushion. Anti-tippers applied to the chair will prevent the resident from “flipping” a wheelchair or chair forward or backward. Other adaptations for the wheelchair include a wedge cushion inserted under the resident’s buttocks and thighs which tilt the resident backward. A wedge seat prevents the resident from sliding forward. Similarly, leaning to the side is corrected with lateral supports or cushions. Stroke victims with hemiplegia (one-sided weakness) are at risk for shoulder subluxation (partial dislocation) if the weakened arm slips off the side of the chair. This can be prevented with devices attached to a wheelchair: an arm trough, elevated armrest, lateral arm support, or half tray. A full tray table is not necessary. A leg panel will prevent legs from falling backward off foot pedals or between calf pads. A head extension can be added to a wheelchair, or other chairs, to help keep the resident’s head erect and promote comfort. Also, “wingback” head extensions will prevent the resident’s head from leaning to one side. The wheelchair itself can be individually fitted to the resident’s size. For example, pediatric wheelchairs are available for very small residents as are extra-wide chairs for obese or larger residents. “Walking” in the wheelchair (i.e., using feet to propel forward or backward) is easier for some residents than pushing the wheels with their arms. Hemi-height wheelchairs that can be adjusted to the resident’s lower leg length can facilitate pushing the wheelchair with the legs. This adjustment creates safe transport while promoting muscle strengthening exercise to the lower extremities. Wheelchairs and falls: Critical thinking points for the legal nurse consultant or attorney: Given the patient’s height and body weight, was the chair an appropriate size? If the older adult slides out of the chair, it may be too big or fail to have proper pillow supports. Was the foot rest utilized, which can help reduce the chances of slippage from the chair seat? Was the patient wearing shoes or anti-skid slippers while sitting in the chair? The need for all of the adaptive equipment described can be determined by a physical/occupational therapist, nurse or physiatrist with the attending physician’s orders. Individualized seating, however, is only part of the solution to prevent falls. Residents need regular exercise. No matter how comfortable the chair, residents need to get up periodically. Those unable to move themselves should receive the assistance of the staff in changing positions and, if possible, in standing or walking at least twice a day as part of a rehabilitation or restorative nursing program. Also, because sitting up can be tiresome, residents may need to nap for one to two hours in the early afternoon, depending on their condition. Some residents will attempt to get up from even the most comfortable chair because of boredom. A stimulating activities program is an important part of a falls prevention program. Also, an activity apron or half tray with an activity board can help to stimulate the resident with dementia.